You don’t want this to be your tree, so for a list of 12 precautions you can take when choosing and decorating a tree, visit this link from The Travelers Indemnity Company. Essentially, you can say there were two tree lighting ceremonies this year. Today marks the 47th NFL Super Bowl (Roman Numeral XLVII for those who follow). Chances are likely you’re going to be at a Super Bowl party today. Let’s face it, it’s basically a national American holiday. And chances are really likely that you’ll be eating some chicken wings at the party. Well today I am going to share with you a Super Bowl tip that will probably blow your mind. Honestly, it kind of blew mine. This isn’t just a lesson you can take for Super Bowl game day, this is a lesson you can use for life. Because if you’re an American, you probably eat chicken wings all year round. Behold, a practical lesson that will change the way you eat wings forever. The 4th of July is commonly associated with fireworks, parades, barbecues, carnivals, fairs, picnics, concerts, baseball games, family reunions, and political speeches and ceremonies to name a few. It’s a day to stand up and be proud to be an American. And when I think of proud Americans, I think of Wally George. Unless you’re from Orange County (CA), you probably never heard of Wally George. Hell, even if you are from Orange County, you probably still don’t know who Wally George is. My brother Patrick and I used to stay up late on Saturday night and turn on Wally George and laugh our a$$es off. Always hanging behind him were pictures of John Wayne and the US space shuttle. Wally was always a huge supporter of then-US president Ronald Reagan. His blond, ear-length, side-parted hair is infamous. Apparently, E! True Hollywood Story actually ran a feature on Wally George in 2000. For your viewing pleasure, here are some Wally George “best of” clips. Happy 4th of July! Happy Father’s Day to all the Dad’s out there. 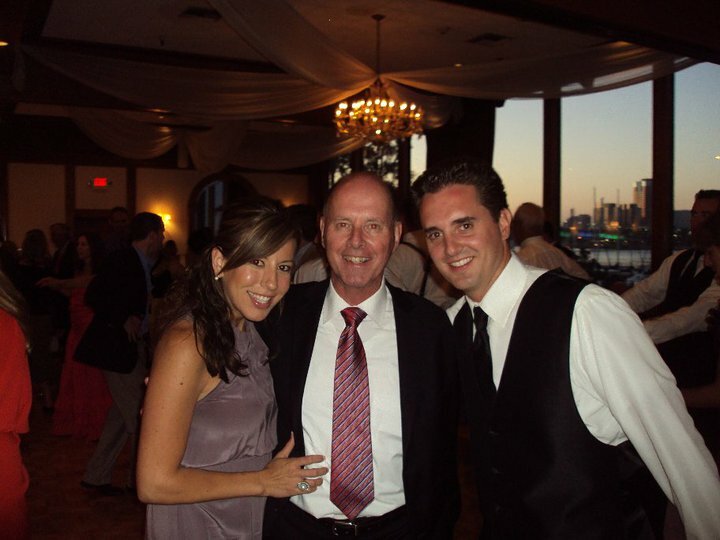 Thanks Dad for everything you have done to provide for our family and for being the best Dad we can possibly ask for! This day is for you. Much Love!